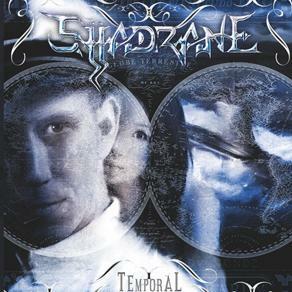 Shadrane is french progressive metal band formed by Vivien Lalu (from Lalu) in mid this decade. With a line up that wll make envious any band or musician, Shadrane manage to gather all the ideas of these musicians in an unique and solid album and give a pleasent surprise in prog metal field. The line up is formed by Vivien Lalu (Lalu, Hubi Meisel) - keys, Joop Wolters ( great and yet very underrated guitarist from prog metal), the fantstic two brothers and very well known in music in general Matt Bissonette on bass and Greg Bissonette on drums, on vocals are Goran Edman ( from Yngwie Malmsteen fame ), Henrik Bath (Darkwater), Marco Sfogli (from James LaBrie solo album), Alex Argento on keys (one of the most promissing keyboard players from today), Martin Le Mar (Tomorrow's Eve, Lalu), Gary Wehrkamp on keys from Shadow Gallery and Virgil Donati on drums, so a line brilliant and 5 star line up on this labum. The album was released in 2008 named Temporal and has some very fine moments for prog metal, that will give to any prog metal listner a pleasent journey.The musicianship is high class, each one has thir own influence on the music and the result is great. The skills and the ideas gives to the Temporal a good liberty of the musicians to express themself without any restrictions, where the rougher moments are melted very well with the more mellow ones. Some spoken words on some pieces gives an enjoyble atmosphere to the pieces. All the tracks stand as good, not a weak moment here, some of them are highly recommended for prog metal listners , like the opening track Temporal, Lanterns Dance, Manzanar and Babies in the Bath, top notch pieces. So, in the end a great album, yet very unnoticed by prog metal listners, they need a wider recognition because is one of the most promissing debut album in prog metal field in last years. 3.5 rounded to 4, a great album to me, that will please the most of the ones who discover this band. Similar with Lalu or Tomorrow's Eve.